It has just been announced that Ben Wheatley's Free Fire will be the closing film of the 60th London Film Festival to be held this October. Wow! This is great news. Say what you will about Wheatley but he is one of only a handful of current British filmmakers that is carving out an original path for himself. From his low budget shot around friends homes Down Terrace to the sublime adaptation of J.G. Ballard's High Rise there are few that can claim such a rise whilst staying true to their own voice. 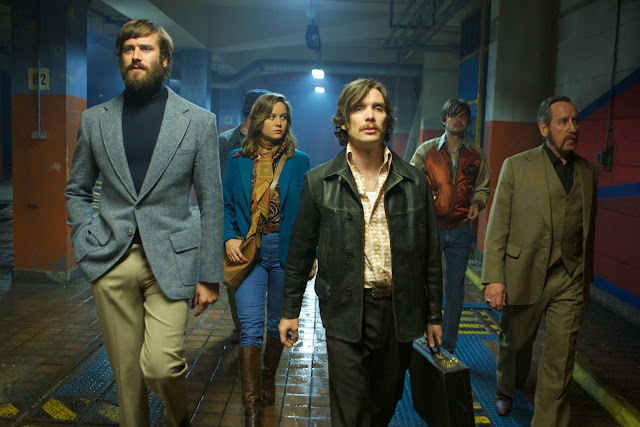 I have been looking forward to Free Fire since I heard about this 70s fuelled crime film. Executive Produced by Martin Scorsese, co written by long time Wheatley collaborator Amy Jump and Wheatley has brought on board, like he has done with his previous films, an absolutely blinding cast that includes amongst others: Wheatley regular and all round legend Michael Smiley, Cillian Murphy, Armie Hammer, Sharlto Copley, Sam Riley, Noah Taylor, Patrick Bergin (thought you would sneak that past us? ), Jack Reynor and Captain Marvel herself - Brie Larson! So that's two leading Disney actors in a Ben Wheatley film. The 60th BFI London Film Festival in partnership with American Express® is proud to announce that this year’s Closing Night gala will be Ben Wheatley’s high-octane action thriller FREE FIRE. The film will receive its European premiere on Sunday 16 October at the Odeon Leicester Square, attended by cast and filmmakers. FREE FIRE is Wheatley’s third film to be presented at the Festival, following High-Rise (2015) which screened as Festival Gala and Sightseers (2012) which screened as Laugh Gala. BFI London Film Festival Director, Clare Stewart says: “Ben Wheatley’s ascent as one of the UK’s most dazzling cinematic talents continues with this ballsy actioner. 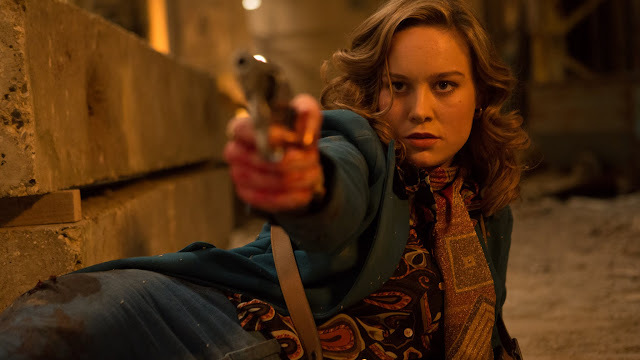 Dripping with blood, sweat and irony, FREE FIRE’s bravura filmmaking pays knowing tribute to the films of Sam Peckinpah and features a terrific cast who clearly relish bringing Wheatley and co-writer Amy Jump’s vivid characters to the screen. We are thrilled to be presenting the European Premiere as our Closing Night gala, ensuring that the 60th edition of the BFI London Film Festival goes out with a bang! Film4 and BFI present a Rook Films Production of a Ben Wheatley film. Starring Sharlto Copley, Armie Hammer, Brie Larson, Cillian Murphy, Jack Reynor, Babou Ceesay, Enzo Cilenti, Sam Riley, Michael Smiley and Noah Taylor. Its executive producers are Martin Scorsese and Emma Tillinger Koskoff, Reno Antoniades, David Kosse and Sam Lavender, Ben Roberts and Lizzie Francke, Danny Perkins and Dan MacRae. The film is produced by Andrew Starke, directed by Ben Wheatley with a screenplay by Amy Jump and Wheatley. STUDIOCANAL will release the film in UK and Ireland in 2017. The 60th BFI London Film Festival in partnership with American Express® takes place from Wednesday 5 October-Sunday 16 October 2016. The opening night film is the previously announced Amma Asante’s A UNITED KINGDOM. The full Festival programme will be announced on Thursday 1 September 2016.